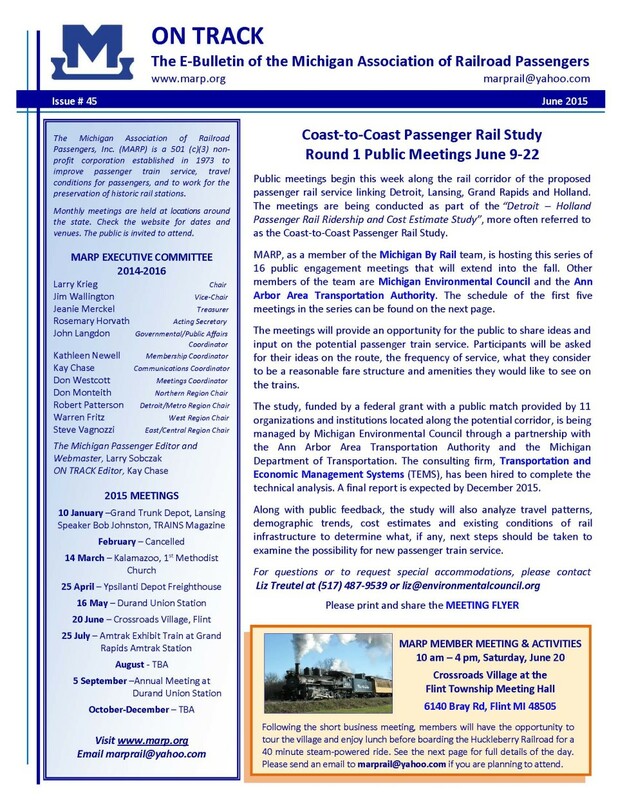 Click here to save this file or to view it as a PDF in full screen. 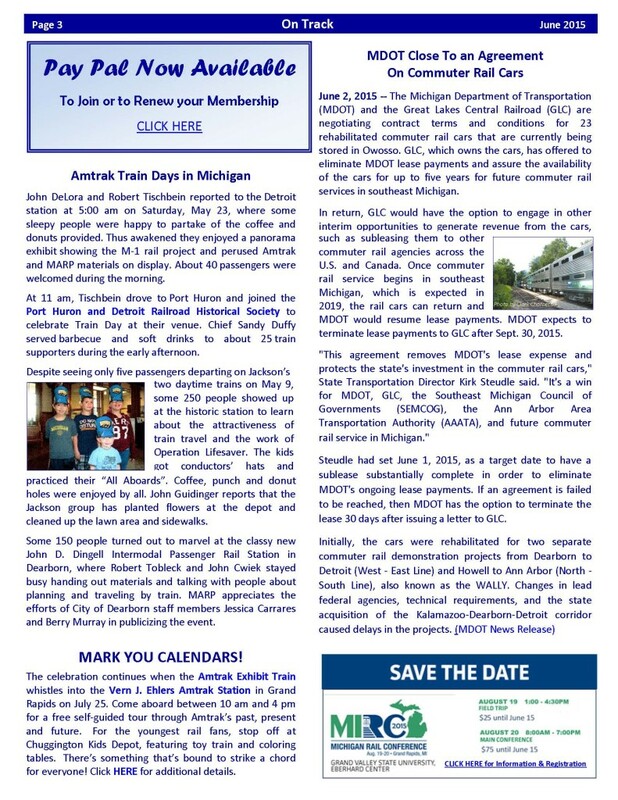 The June issue of ON TRACK is attached. We hope you enjoy. As always, your comments and thoughts are most welcome. If you have a story idea please send it to marprail@yahoo.com. 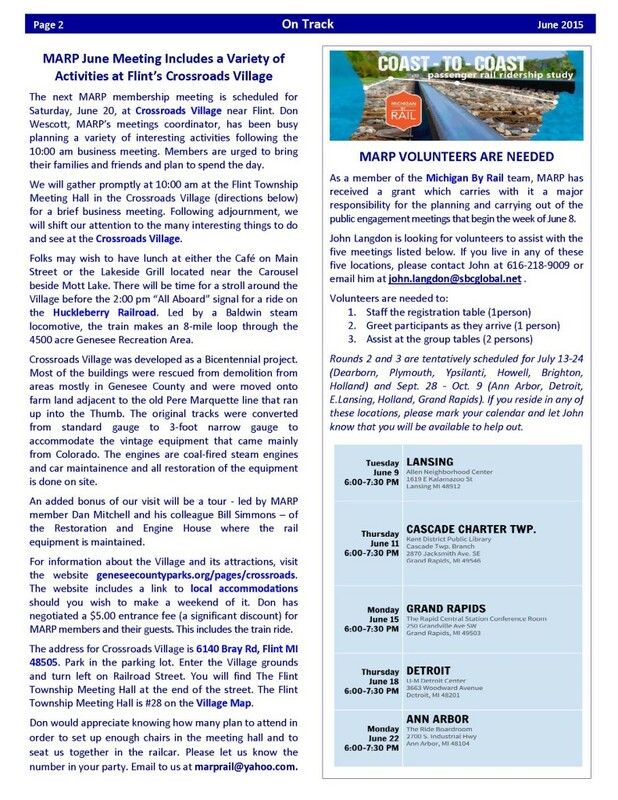 Please note that this issue includes complete information about the June 20, 2015 MARP membership meeting at The Crossroads Village. Non-members are most welcome to attend. 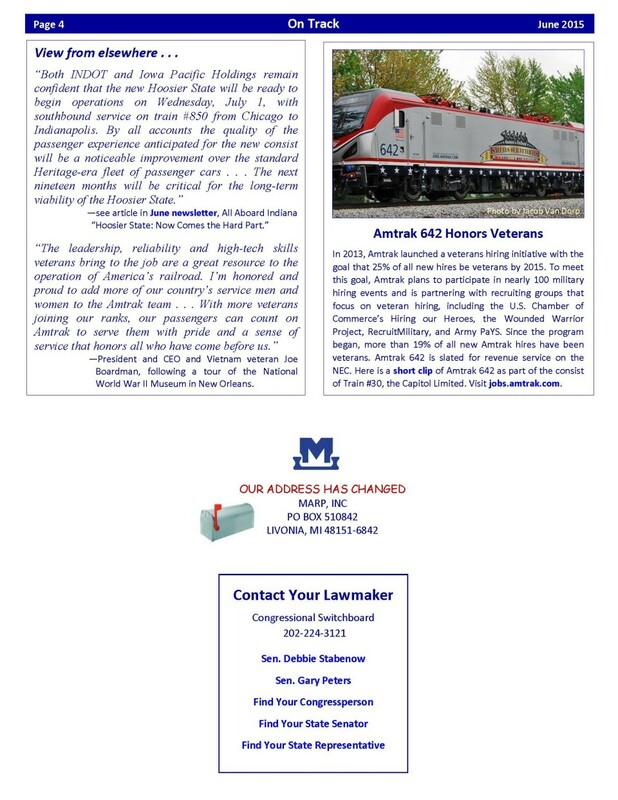 If you plan to attend, please reply to this email with the number in your party. If you would like to carpool to the meeting, please reply to this message. We will do our best to arrange something. Click on images below if you don’t have a PDF reader.